Integrity plays an important role in healing, but sometimes what is "right" is unclear. 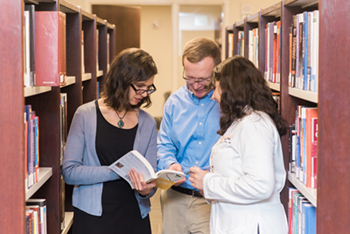 Annette Mendola, PhD, Chief of the Division of Clinical Ethics and Assistant Professor of Medicine, initiated a program at The University of Tennessee Medical Center known as Ethics Case Rounds to help guide clinical staff through ethically difficult situations. Dr. Mendola said, "The Ethics Consult service we offer to patients, their families and our healthcare teams typically comes into play when everyone is trying to do the right thing, but it's hard to say what the right thing is. For example, when patients do not have decision-making capacity for treatment, and family members disagree about what the patient would want done, the goals of care are not clear for the physician." Other common situations include when patients or family members are requesting treatment the physician believes would be harmful, or when patients may not fully understand their options. Each month, Dr. Mendola presents a situation based on a real case, with identifying information removed, and invites a panel of team members who were key to the case to help lead discussions. The panel may include the attending physician, key nurses and residents, occupational or physical or respiratory therapists, dietitians, case management representatives, or other pertinent non-clinical staff. Then, the discussion is open among all who attend, which is a diverse mix of clinical and non-clinical staff from all specialties, with the goal of understanding one another's perspectives and developing a shared understanding of how to handle similar situations. Doctors remember one case in particular that discussed whether removing life support should also include inactivating the patient's pace maker. The patient's family requested deactivation as part of end-of-life care, but none of the cardiologists would agree, saying that deactivation would be unethical. Mark Rasnake, MD, Assistant Professor and Internal Medicine Residency Program Director, explained, "For a cardiologist to inactivate the pacemaker, there would be a significant change. The patient would pass immediately. This case highlighted the somewhat gray zone between standard end-of-life/comfort care versus euthanasia. Many in the room felt that deactivating artificial devices (pacemakers included) did not constitute euthanasia. The contrary opinion, that fully implanted devices were now a ‘part of the patient' is one that has significant weight. Intentionally deactivating such devices would be essentially harming a patient under such a viewpoint. It is a very thorny issue." While Ethics Case Rounds was initiated as a learning tool for physicians and nurses, Rasnake recognized the program as a valuable teaching tool for residents, and participation in Ethics Case Rounds has become a core part of the Internal Medicine Residency curriculum. Dr. Rasnake said, "The program has provided me a significant amount of benefit personally, and it has provided a wonderful educational venue for my residents. They seem to feel it is a safe space for them to discuss the emotional impact some cases have on them, and they get to see how others react under similar circumstances. 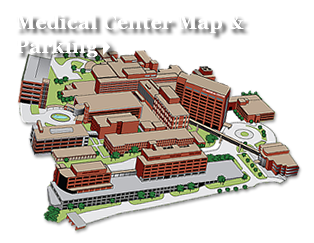 Dr. Mendola is to be commended for bringing this program to the medical center." Resident Sachin Amin, MD, already sees the benefit Ethics Case Rounds will have on his career. "It is a course that not many other residency programs provide," he said. "Once we finish residency, we will be seeing many more patients on a daily basis, and we will be surrounded by ethical conflicts. Having a good base of ethical principles will help us make decisions in the patient's best interest." Ethics Case Rounds meets on the fourth Thursday of each month in Wood Auditorium and is open to team members at the medical center.